The futuristic and asymmetrical towers that make up Marina Bay Sands are already an iconic part of the Singapore city skyline. But soon, there's going to be another tower to add to the picture-perfect view. 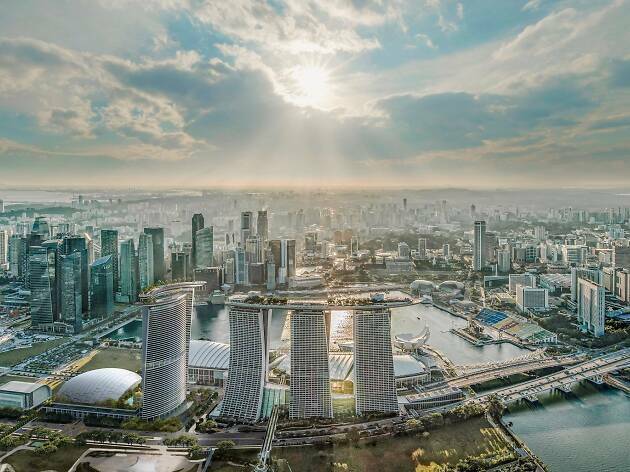 As part of a major project, the integrated resorts of Marina Bay Sands and Resorts World Sentosa are investing $9 billion to build new attractions and meetings, incentives, conferences and exhibitions (MICE) facilities. 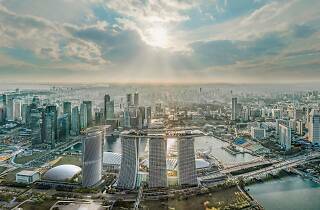 Recruiting Moshe Safdie, the same architect who worked on the design for Marina Bay Sands, the fourth tower at Marina Bay Sands is a separate hotel with 1,000 suites, a sky roof, a swimming pool, a 15,000-seater amphitheatre and a signature restaurant. The site for the fourth tower is located next to the existing multi-towered hotel. In other upgrades, Resorts World Sentosa is also undergoing a major expansion, including two new areas within Universal Studios Singapore: Minion Park and Super Nintendo World. The S.E.A. Aquarium takes over the current space occupied by the Maritime Experiential Museum, making the new Singapore Oceanarium three times larger than what it is now. This multi-billion project also includes new developments in Sentosa, including two new hotels and a new waterfront lifestyle complex.